At an altitude of over 1,000 meters, Moc Chau Plateau always attracts many tourists in Vietnam tourism by beautiful natural scenery whatever the season of the year is! 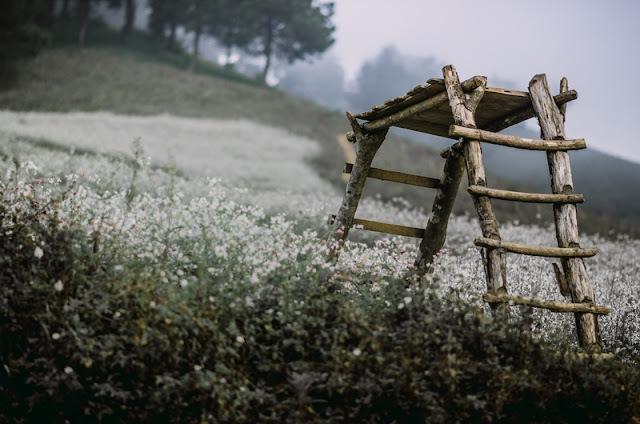 However, Spring is the best time to admire the stunning beauty of Moc Chau Plateau when the white plum blossom cover many hills and valleys in the land making it extremely attractive and lovely. Located in Son La province, at a distance of 200 kilometers from Hanoi, Moc Chau Plateau is 1,050 meters above the sea level, with an area of about 80 kilometers in length and 25 kilometers in width. Thanks to the impressive nature, the Moc Chau Plateau in Son La province is considered as one of the most attractive destinations during the upcomming Lunar New Year. Moc Chau has long been famous for the white flower field improvements, the tea plantation or forest gush of white plum blossom and also one of the attractions people dissipated attract tourists at home and abroad. Any visitor, who wants to explore such wonderful images, should visit the Moc Chau Plateau during the upcoming Lunar New Year. When the Lunar New Year festival comes, Moc Chau plateau in Son La province is covered with plum blossoms, white rapeseed flower, stretching along from the hill sides into H'mong villages. Amid the vast blue sky over the cool, windy plateau, gardens of plum trees show their pure white flowers that cover the small hamlets, on the mountain sides and in the valleys. 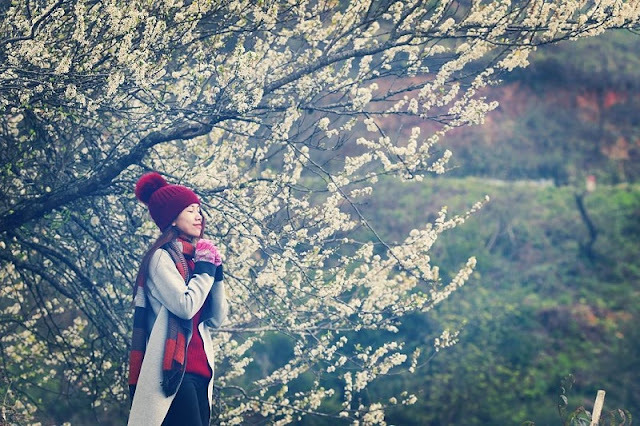 Early January is a great milestone when Moc Chau is beautifully covered with white plum flower in a vast terrace. It marks the most gorgeous season of plum blossom. 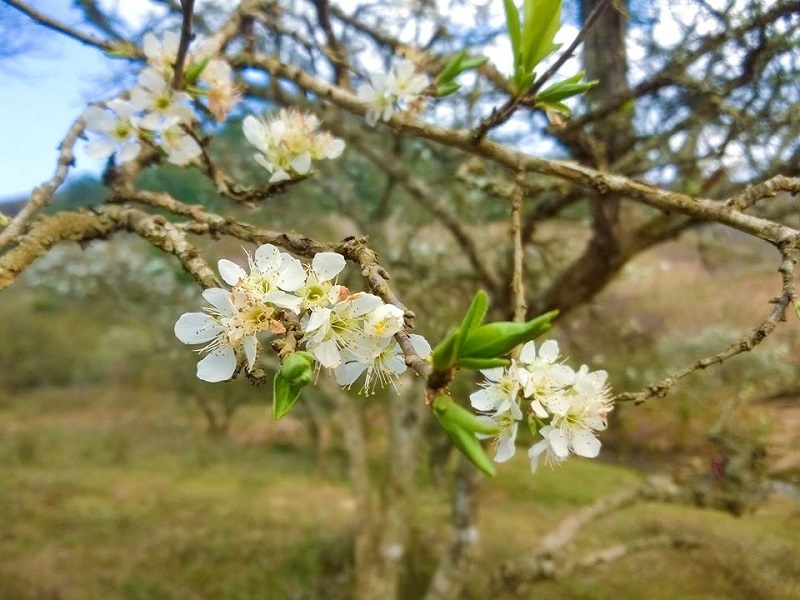 The white plum blossom is now covering many hills and valleys in Moc Chau plateau. Visitors can see plum blossoms everywhere, on roads, from villages to upland fields and along two sides of highways. Villages of Tan Lap, Phien Canh, Long Luong and Thong Cuong are considered to be the "kingdom" of the white plum flower. The Ang village, nearly 5km from Moc Chau town, that is covered with plum blossoms, is similar to the European scene during the snowy season. It is easy for tourist to ask any H'mong families to watch plum blossom or take photo free of charge here. During early days of spring, each traveler will feel ecstasy from the pure color of plum blossom in Dai Yem waterfall. Exploring Moc Chau during the Tet festival, beside enjoying the wonderful scenery of white plum blossoms hills, visitors can luckily partake in the joyful ambiance in which the Hmong is celebrating their traditional New Year. Has a basis to understand the traditional and beautiful culture of an ethnic miniority of the here.